Explore the romance and reality of the sea courtesy of Aberdeen Harbour and the MarineTraffic API. 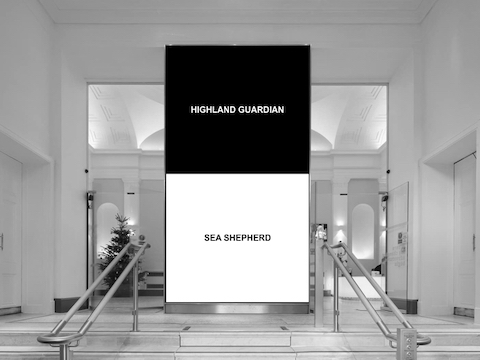 By tracking the location of ships, the constantly updated names of the most recently arrived and most recently departed vessels are juxtaposed on the Music Hall's Stepping In Space screen, creating a form of poetic writing. Irish artist Cliona Harmey's work attempts to interrupt the speed of this instantaneous data stream and return it to the speed of movement of real entities in space. The names include references to Scots and Nordic culture conjuring up historical figures and distant places in this localised iteration of her previous work Dublin Ships (2015). Cybraphon, the autonomous emotional robot band, is now part of the National Museum of Scotland's collection. The artist collective FOUND gifted Cybraphon to the nation in 2013. It can now be seen as a key bridging work between the new art & design and science & technology galleries. Cybraphon obsessively googles itself every 15 seconds to see how popular it is. 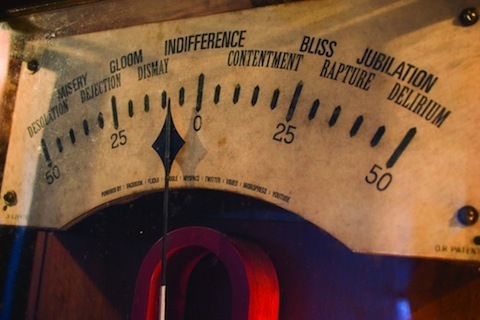 The results affect its emotional state which in turn affects its playing style. Twenty-five antique instruments and 60 robotic actuators then play music that FOUND has composed for each emotion.